It's almost two weeks already since the iOS 11 Developer Beta 2 (Public Beta 1) was released to the developers and public testers and I had no second thoughts of trying it out on my devices because when I first experienced iOS 7 beta testing in 2013, I have always wanted to try and try doing it until we reach this moment [almost four years after iOS 7 was released]. I have always been fascinated by iOS and I believe I am adventurous enough to try out its new features even if its only on the beta testing stage. For this particular post, I will show you three features why you should download and install iOS 11 on your iPad. The new app switcher of iOS 11 wowed me by its new look and how it gave justice to the compatible iPads by utilizing the iPad's entire screen. 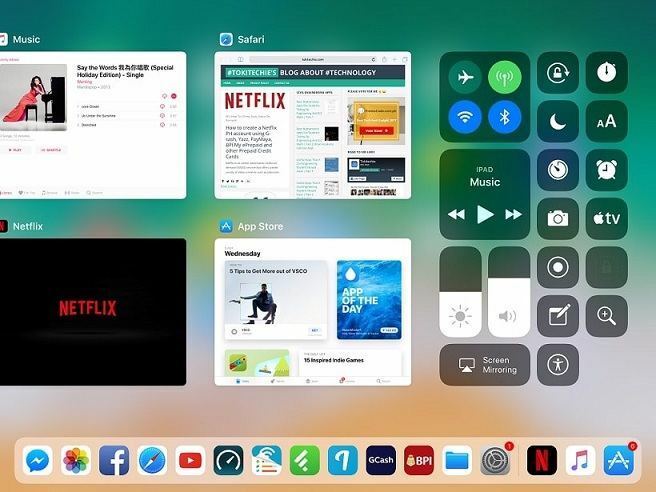 The new app switcher will show you the redesigned control center on the right side of the screen, the improved dock at the bottom and the app thumbnails that occupies the center and the left side of the screen which extends even further showing you more opened apps when your swipe the screen to the right. For the me, its a smart move for Apple to tweak this particular function of the iPad because its one of the most used function based on my personal experience. Even if I have activated the four/five-finger swipe gesture to swipe between apps, I still switch between apps by opening the switcher [even unaware of] using the home button most of the time. In iOS 11, you can now activate the app switcher in two ways: by double clicking the home button and by swiping from the bottom bezel of the screen. To open the switcher by swiping up, you swipe from the bottom bezel once when you're at the home screen or twice if you want to open it while an app is currently in use. While using an app [or apps in split view], you need to swipe up twice to open the switcher because on your first swipe, the dock will show up first. Its on your second swipe when the app switcher will activate. The new dock in iOS 11 looks similar to a Mac-OS dock. It can now hold up to a total of 16 apps, three of which are the most recently used apps which lie on the rightmost side of the dock. The dock stays at the bottom of the screen when you're on the home screen just like the older iOS versions but when you have an app or apps opened, you don't need to go to the home screen just to open the dock. 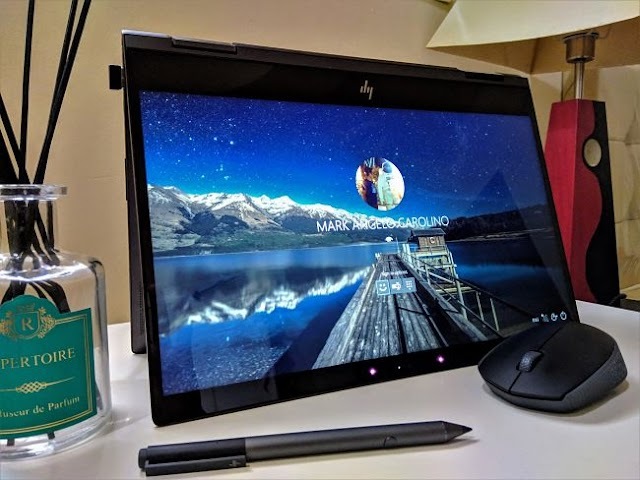 You simply swipe from the bottom bezel to access the dock. The drag and drop feature is one of my favorite development of iOS for iPad. This feature enable users to copy items between apps by simply dragging and dropping it. It's far better than the copy and paste function. On this early iteration of iOS installed on my iPad Air, I can drag photos, notes, links and other files seamlessly but unfortunately i can't drag it to other apps because my device doesn't support split view. iPad versions with split-view capabilities will benefit the most from this feature. There is a lot more other interesting features of iOS 11 that can help you level up your productivity just like using the multi-tasking feature of iPad. But for this particular post, I only listed the three best features which I think unique to iOS 11 that will make you download and install iOS 11 even at this early stage.